Sophie Turner and Maisie Williams have to be some of the most talented actresses of our time. They both absolutely kill it as Sansa and Arya Stark in HBO’s Game of Thrones — but thanks to storylines, we haven’t gotten scenes of the sisters together in years. Luckily, Sophie and Maisie are down to make up for it by being some of the coolest IRL friends we know. Whether Sophie and Maisie are rocking joint costumes for Halloween or getting matching Game of Thrones tattoos, Mophie (aka Maisie and Sophie) are sisters — even if it’s not by blood. 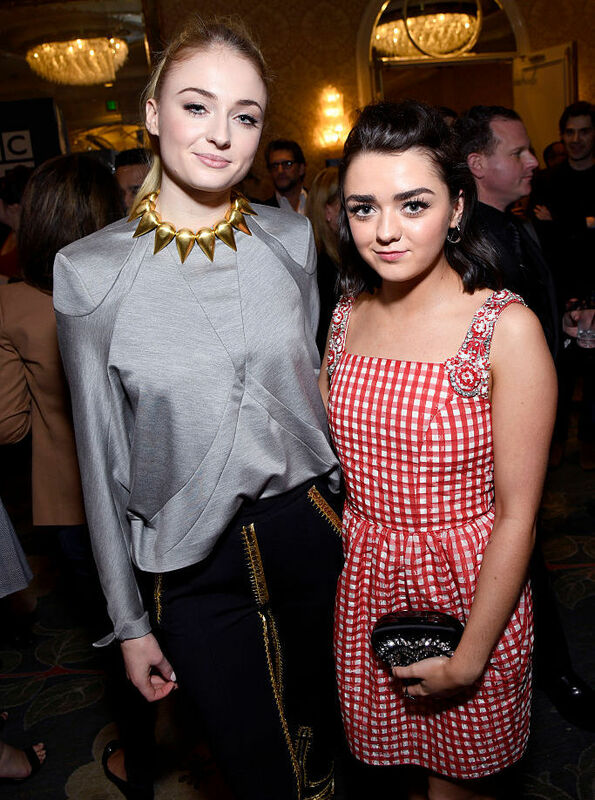 Yesterday, the two stars hit up the BAFTA Tea Party. Separately, they looked amazing. Sophie Turner rocked an incredible, punk-inspired look while Maisie Williams shined in the cutest gingham dress we’ve ever seen. But the best part came when the two teamed up. The TV sisters hung out at the tea party looking fierce and fabulous, but they didn’t let the fun end there. Mophie took the party with them in this adorable Instagram photo Maisie shared after they left the event. The two are constantly together and we can’t help but be jealous of — and inspired by — their friendship. Just checkout this amazing bathroom selfie they shared. #Mophie is real. #Mophie is goals. We love these two — and they clearly love each other. Now let’s just hope that we get at least one cute Sansa and Arya moment in addition to all the #Mophie we know and love.